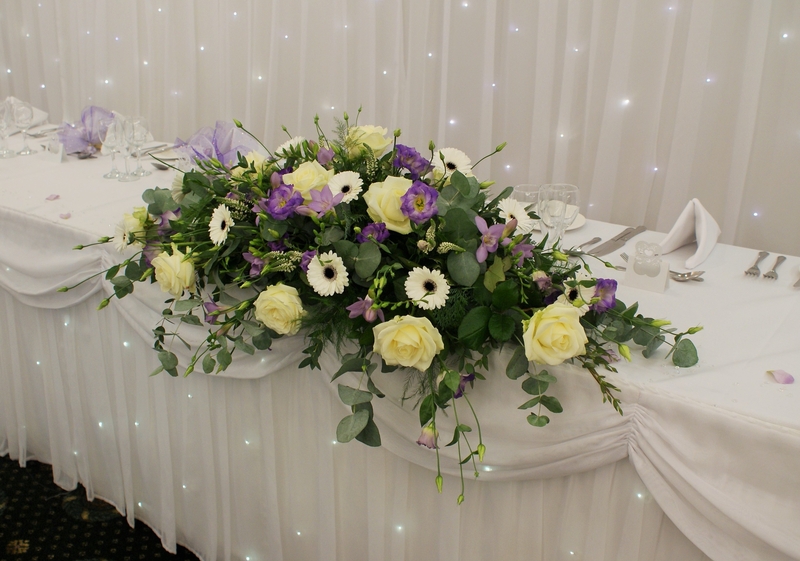 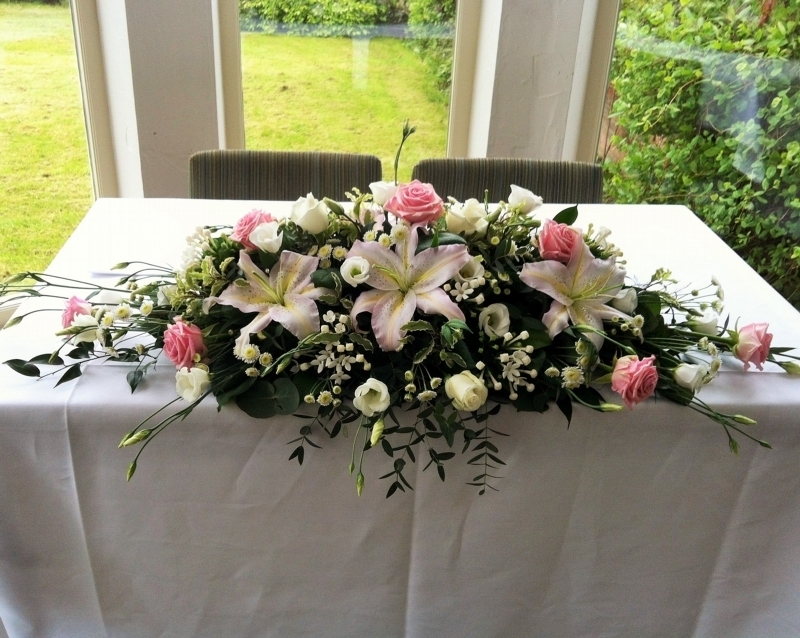 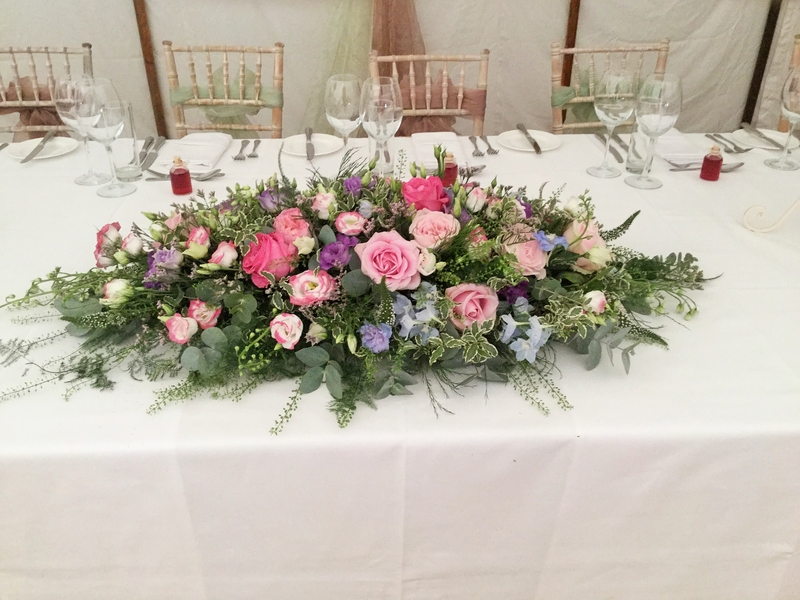 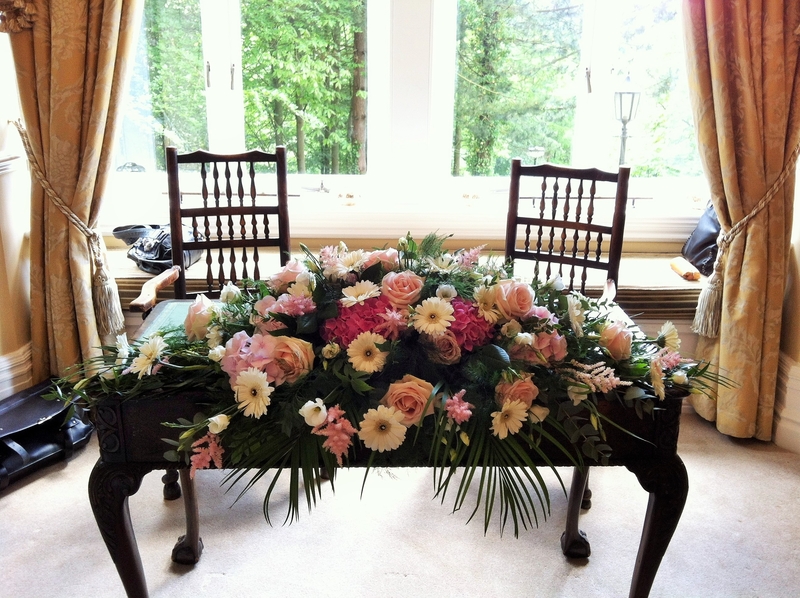 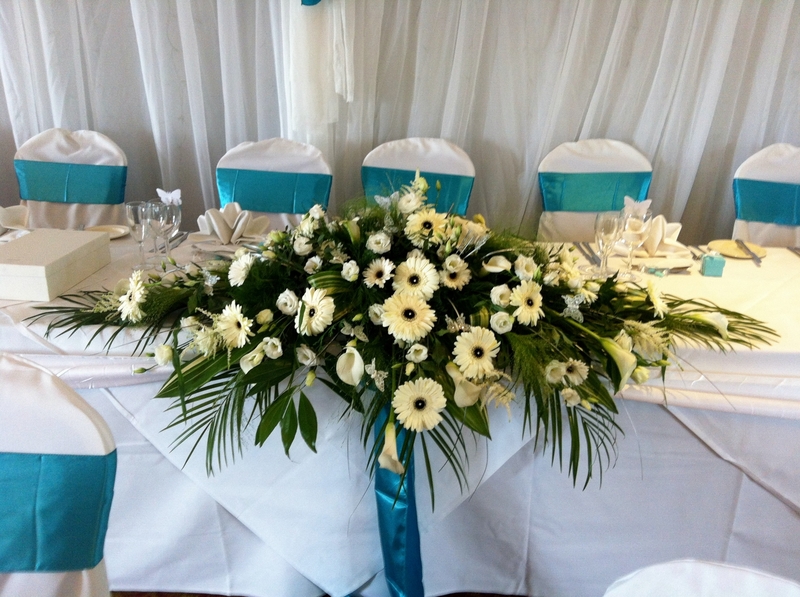 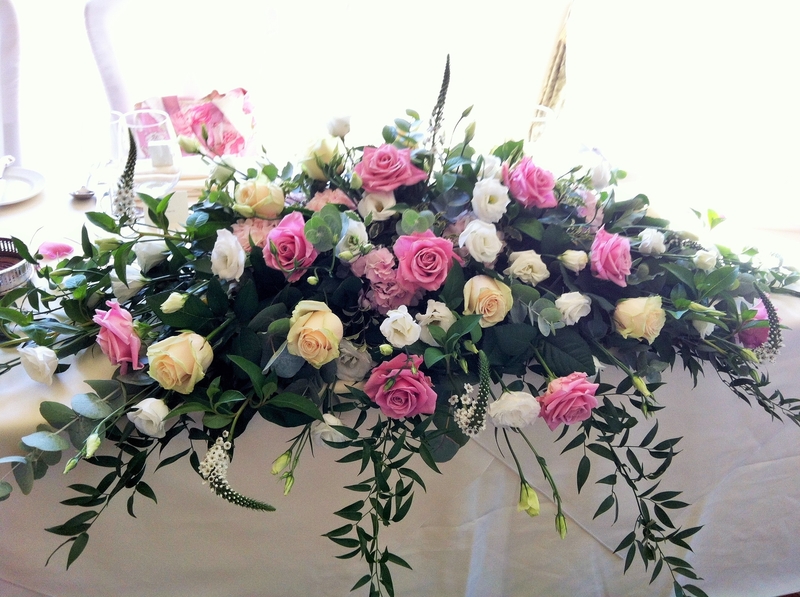 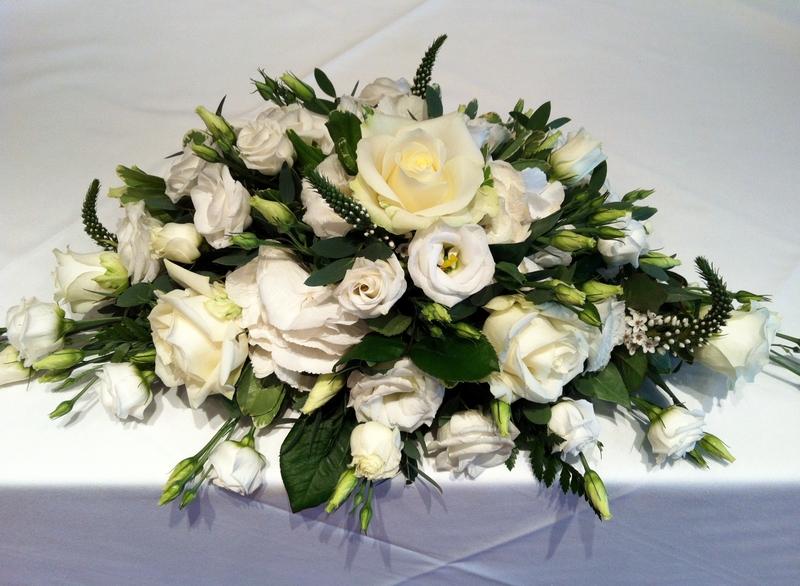 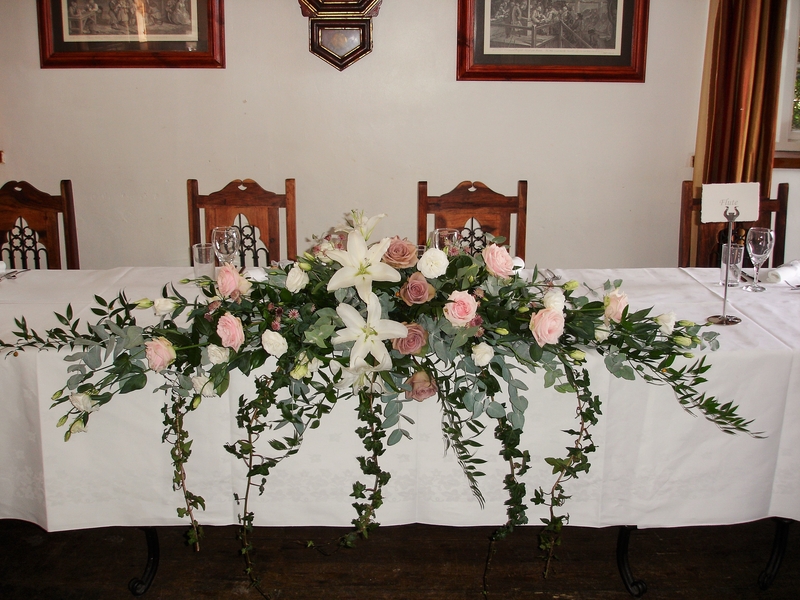 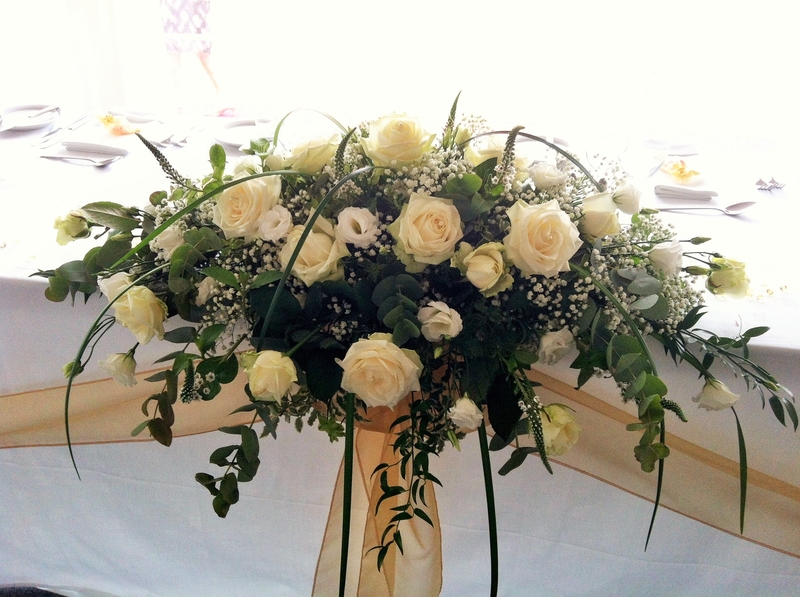 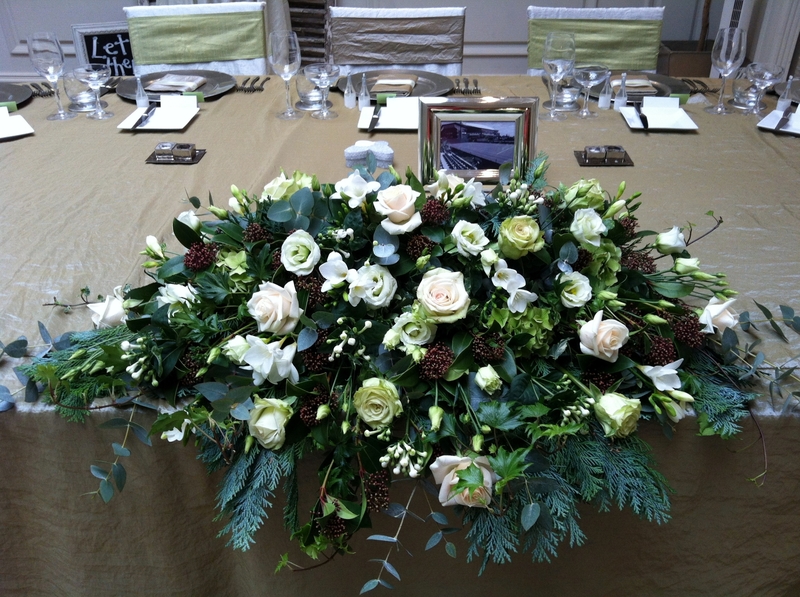 Top table or ceremony table arrangements are always focal designs and will showcase your choice of wonderful colours and fabulous flowers and foliage. 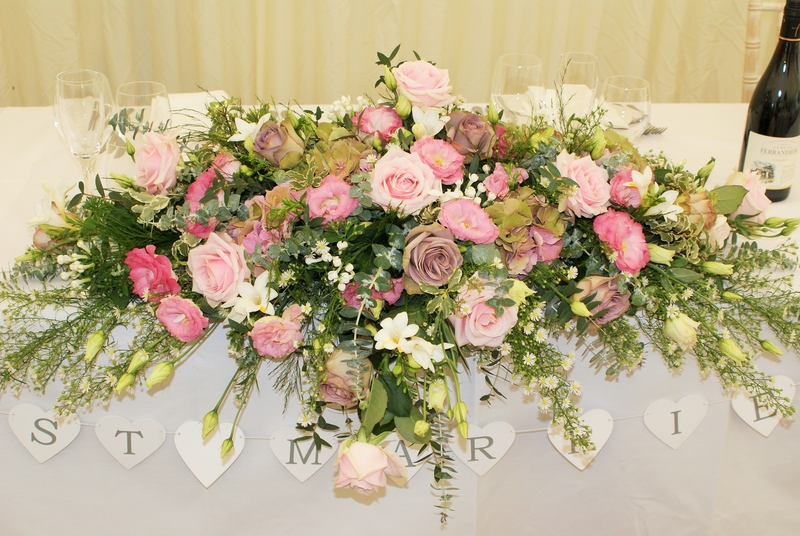 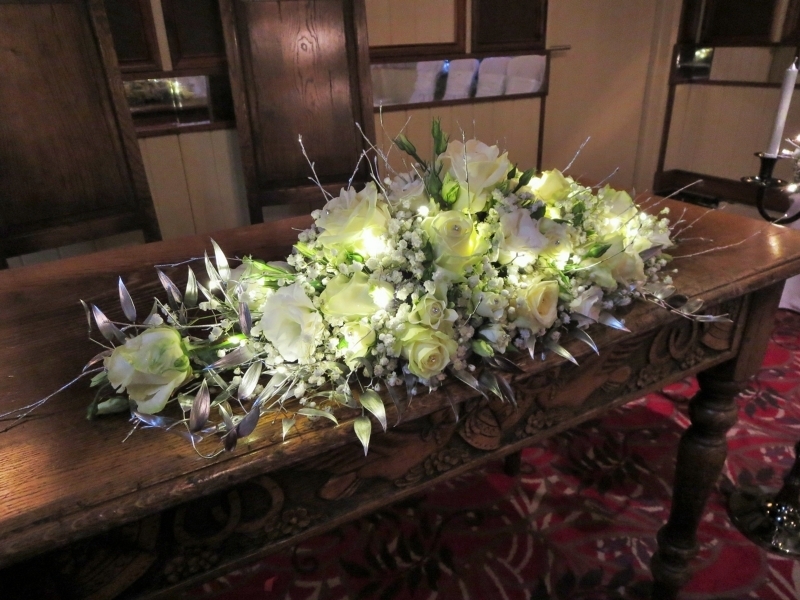 The design can be placed initially on the ceremony table or in a focal area within the church and then taken to be the central display in front of the bride and groom on the top table. 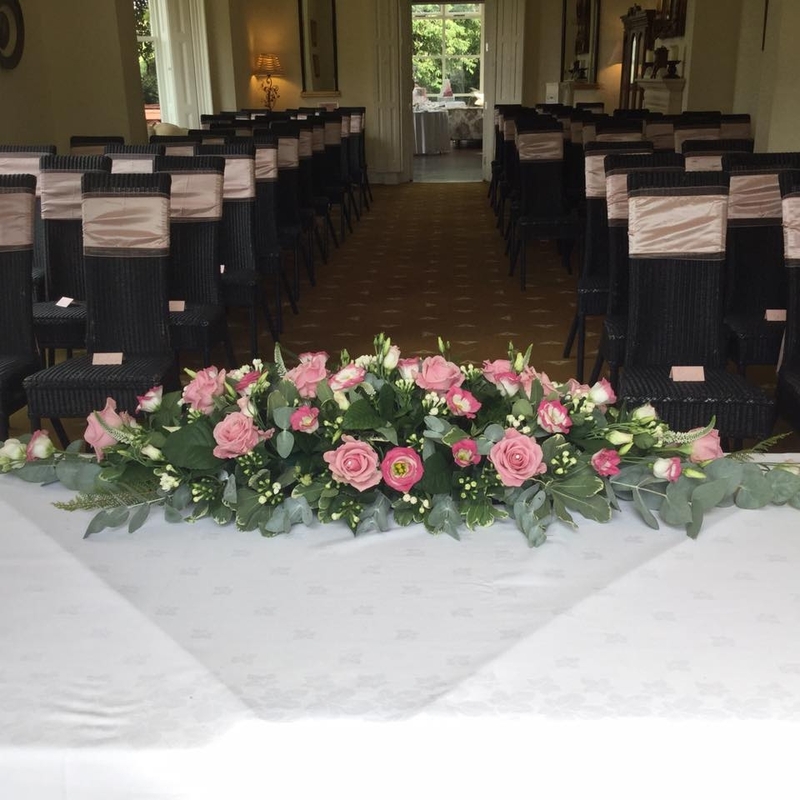 Classic design shapes are traditionally used such as long and low, with or without flowers and foliage trailing at the front; however you can have the size and shape to match to your venues.